EMV integration is not available to Mac users or users in Canada at this time. and you have a C&H Financial traditional plan, you likely already have a TYSYS swipe account. and you have a C&H Financial Simple Plan account, you will need to contact them to set up a TYSYS swipe account. and SafeSave Payments is your payment partner you will need to contact them to apply for a TYSYS swipe account. SafeSave will submit your application. Once it is approved, it is your responsibility to contact Vantiv directly to cancel your Vantiv swipe account. 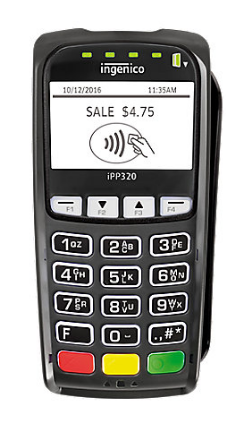 If you are not already using a card swiper you will need to contact your payment partner to get the TYSYS swipe account opened. Their contact can be found in your Jackrabbit database from the Tools menu > Credit Cards/Bank Account Settings. This terminal must be purchased through your payment partner (gateway provider). You can find their contact information in your Jackrabbit database from the Tools menu > Credit Cards/Bank Account Settings.